FiberCel has a long history of success with a wide range of customers and products. 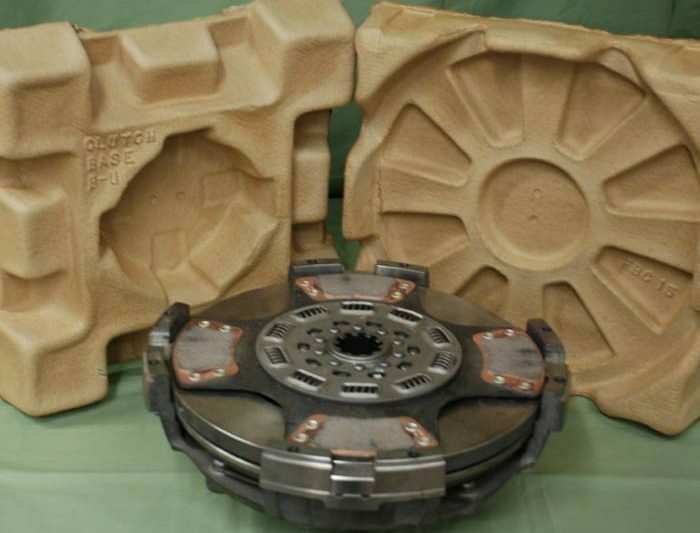 Our molded pulp products have replaced expanded polystyrene, corrugated die-cuts, honeycomb packaging, foam-in-place, fabricated polyurethane, polyethylene and glued-up cardboard. With all of these multi-purpose applications, and thousands of satisfied customers, it’s no wonder that FiberCel is one of the fastest-growing packaging companies in the United States. Contact us today to discuss your packaging needs… you’ll be glad you did! 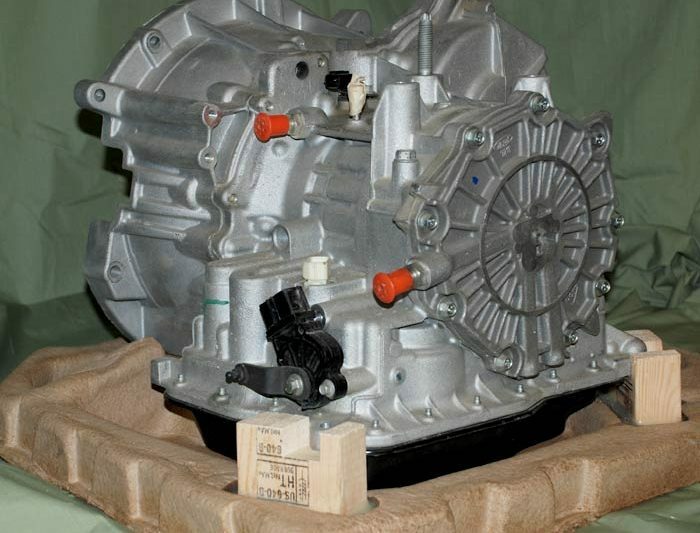 FiberCel has been producing molded pulp packaging for the auto industry from the very beginning. 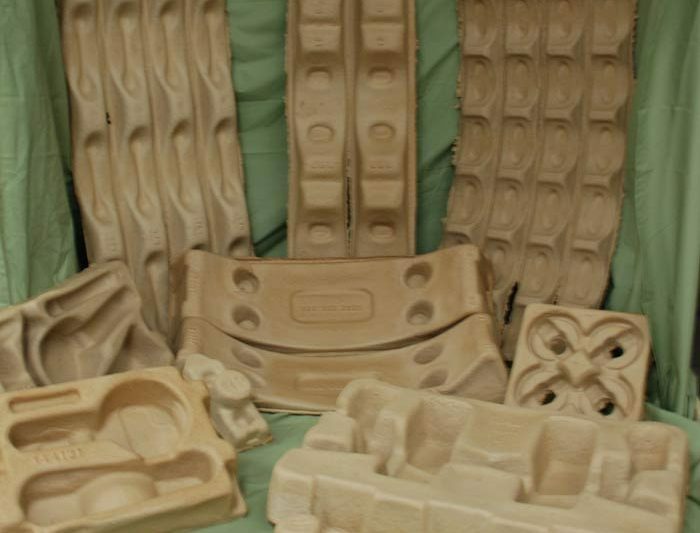 Some of the very first packs were corrugated and molded assemblies for returnable / reusable trays. More recent applications have been in replacement sheet metal parts — doors, hoods, deck lids, etc. and passenger and driver side airbag packs. From engine components, to HVAC units, to sheet metal, we have over 40 years of successes in the automobile industry. This is a very broad category with applications ranging from picture frames to camp stoves. These applications are typically light weight (only a few pounds) — although some may weigh 20+ pounds, with a wide range of design criteria. 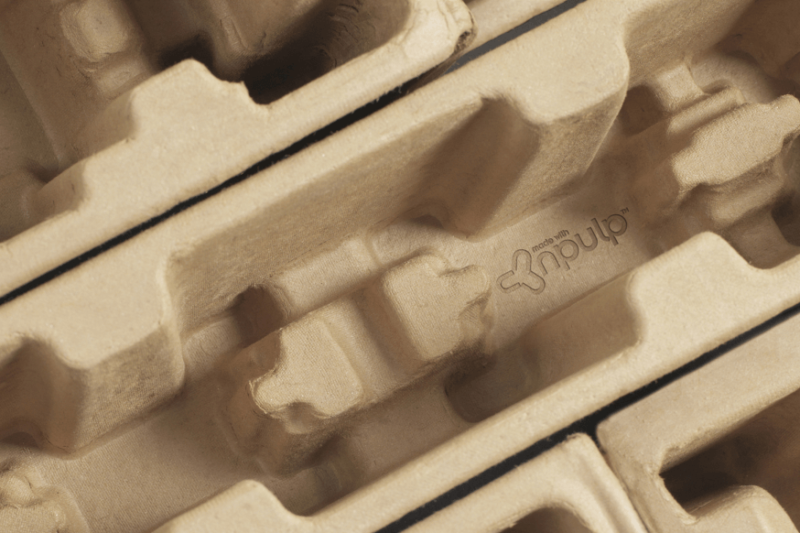 Since the traditional packaging for this industry is either corrugated die-cuts or low density EPS, the successful molded pulp pack has to provide cushioning performance, be easy to apply in the manufacturing process, and be extremely cost efficient. One of our most significant engineering breakthroughs in the past ten years has been in the area of cushioning performance. Through these enhancements, we have been able to move into the world of relatively fragile electronics component packaging.By providing product protection to 60 G’s and below, we have successfully developed packaging for items ranging from computers, to printers, to fax machines, as well as electric meters and specialty films. Both large and small (from washing machines to crock pots) the custom-engineered pulp part captures and cushions effectively and economically. These applications generally lead to manufacturing efficiencies for production lines. Molded pulp parts typically require less space (and are neater) than EPS blocks and are easier to handle. Often, we can design a part to be “universal” in its design, requiring one part for multiple applications, thus reducing the customer’s overall packaging product inventory. This category is typically defined by products that are relatively heavy (high p.s.i. loadings), moderately fragile, and very often irregular in shape and weight distribution. Cushioning performance and product strength are keys to success in most of these applications and more often than not the package design will have to accommodate multiple variations in the same pack. A creative engineering approach is essential to bring all of the various criteria together in one successful pack. Molded pulp can certainly support (and protect) heavy mass and can also protect fragile products, as is done successfully in this category. Whether the product is glass or delicate instrumentation, properly designed molded pulp parts will outperform most other types of inner packaging systems. While the above application categories represent some of the more common FiberCel applications, the versatility of the product and the creativity of our engineering department have enabled us to package many, many more types of products. From roll stock film to specialty photographic film, from glass tubes to lawn mower engines, the examples of successful FiberCel molded pulp applications goes on and on and is limited only by the combined creativity of our engineering department and our current and future customers. Versatility in application and creativity in product design are FiberCel’s hallmark, with a multitude of design applications for corner protection, top and bottom pads, end caps, etc. This category provides many other opportunities to design products that will allow for the protection of handles, hardware, tabletops, partitions and more. FiberCel further enhances the molded pulp part by offering a water-soluble coating to reduce surface abrasion and dusting. These strong yet flexible cradles are easy to use and easy to load. Economical and cost effective, they protect rolls of any web width, and eliminate roll damage during shipping, handling, and warehousing. Roll cradles are available in a variety of sizes, accommodating roll diameters from 1.5″ to 40″. Manufactured from 100% recycled fiber, these recyclable cradles offer safe stacking for most applications. Many of the industries that we deal with have a commonality in their packaging requirements — windows, doors, picture frames, glass bottles, etc. Because of this we have standard molded pulp cushions that fit products from multiple manufacturers. While this is not a stocking program, the tooling is already in place and ready to run, thereby eliminating developmental lead times and tooling costs.